Contact Love to hear from you! Our Capabilities Dedicated in delivering excellence! Our custom bathroom renovation, laundry and shower repairs department consists of a dedicated team of skilled licensed professionals. We are focused on delivering an uncompromising level of quality workmanship, great service and reliability with every renovation within Sydney Metropolitan and the surrounding district areas. Book your custom bathroom design and renovation with us today! *Terms and Conditions apply: *Offer valid strictly for full complete bathroom renovations. All Personal Choice (PC) purchases must be made through Star Ceramics Australia only (Over 25 brands and 100’s of styles to select from). Customer will be given two quotes, one for the renovation and the second quote will be for all PC items chosen. Customer must accept and proceed with both quotes to receive the free shower screen and the free shower screen installation offer. * This offer is only valid for a 900x900mm cube frameless shower screen Or 1000mm or less for frameless flat shower screen. Only 1 shower screen per promotion. * Sydney Metro and surrouding suburbs only. 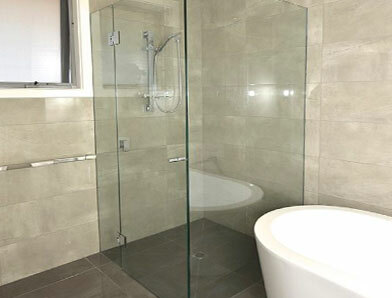 Quote Request Form Ask for a bathroom renovation quote today! “Star Ceramics were professional and did a fantastic job with my bathroom.